Recently your humble ed-otter and his mate, Sy Sable, put up on YouTube a recording of the presentation they did at Further Confusion 2014 (in San Jose, California) celebrating 25 years of furry fandom conventions. That’s right, 25 years ago (well, 26 now!) in January of 1989 the very first furry-themed fan convention and seminar, ConFurence Zero, took place at a little Holiday Inn located in Costa Mesa, California, with a membership of just under 100 and an actual attendance of 65. At Further Confusion last year the co-directors of the original run of ConFurence (Mark and Rodney, sable and mink) lead a well-attended discussion about the early furry cons, how ConFurence came about, and where they’ve been since then. Afterwards, Changa Lion (of Furry.Today) went about creating a slide show and video sampler to go along with the recording of the discussion — and now, it’s available up on YouTube. Have a look — and learn some furry history. 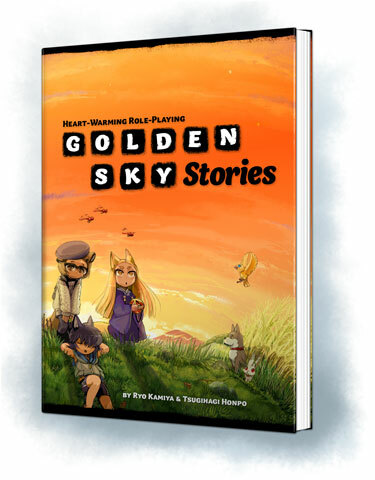 They do such a fine job, we’ll let Starline do the talking, since they were kind enough to publish this game in English: “Originally released in Japan as Yuuyake Koyake, Golden Sky Stories is a heartwarming, non-violent role-playing game that’s great fun for all ages. It takes place in a small town in rural Japan, and players take on the role of henge (pronounced hen-gay, like a chicken that’s happy), animals with just a little magical power, including the ability to temporarily take human form. They do not fight great battles or unearth valuable treasures though; Golden Sky Stories adventures are all about helping others and becoming friends.” At the Starline web site you’ll find they’ve also published a downloadable supplement called The Colors of the Sky, which features several new character types (mouse, wolf, pony, fish, and witch) and play scenarios. 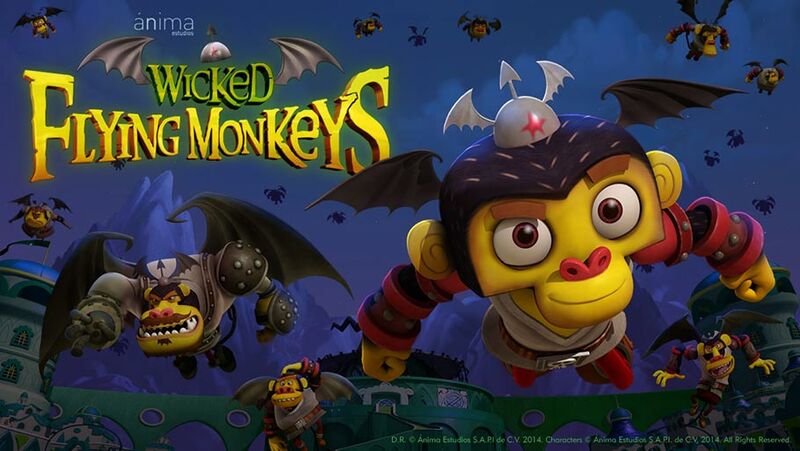 This is direct from an article on Cartoon Brew: “Mexican animation firm Ánima Estudios, producer of the hit 2011 Mexican film Top Cat: The Movie, has released a trailer for its next feature Guardianes de Oz ([Guardians of Oz] retitled Wicked Flying Monkeys for English audiences). 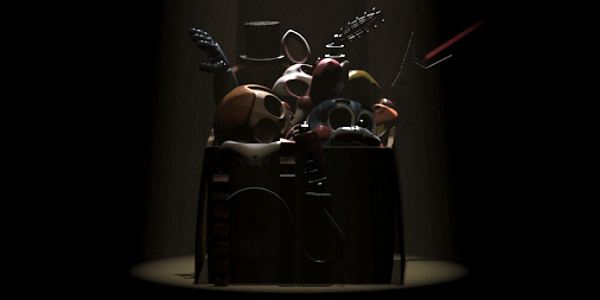 The film is set to premiere in Mexico on April 10, 2015. Directed by Alberto Mar (Top Cat: The Movie), the film has an original story by Mexico-born director Jorge Gutierrez, who helmed the recent Reel FX feature The Book of Life. Veteran American television writers Doug Langdale and Evan Gore are credited for the final script along with Gutierrez. Taking place in L. Frank Baum’s Oz universe, the film follows Ozzy, a young flying monkey who rebels against his boss, the wicked witch Evilene, and reaches out to the “Guardians of Oz”—the Lion, the Scarecrow and the Tin Man—who have been put under a spell by the witch.” The article also has a link to the trailer itself. It’s easy to see the connection between this and The Book of Life when you look at the character designs! 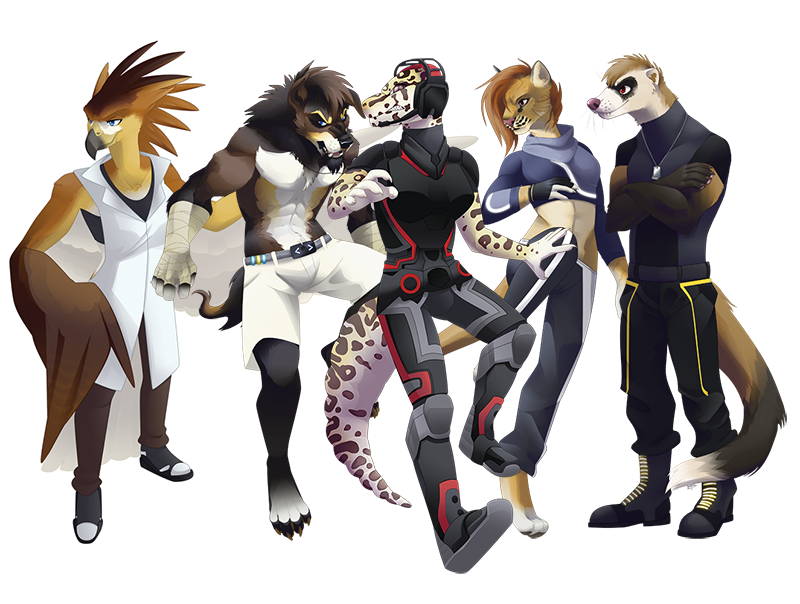 Lemonbrat describe themselves as a collection of artists who hand-make a variety of customizable anthropomorphic and rave-themed clothing. 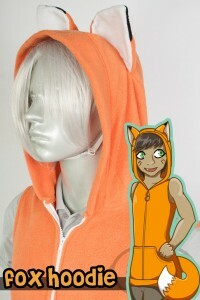 Very very customizable in fact, with dozens of furry-themed doo-dads that can be added to the various hoodies, dresses, bags, and other goodies that they sew together. And that’s on top of the fact they have many animal species in their catalog to begin with, from foxes to raccoons to rabbits to honey badgers (!) and more. Take a look at the Lemonbrat web site for all the clothing and other items they sell, and click on “Custom” to find out how they can personalize a look just for you. It’s not just ears and tails! 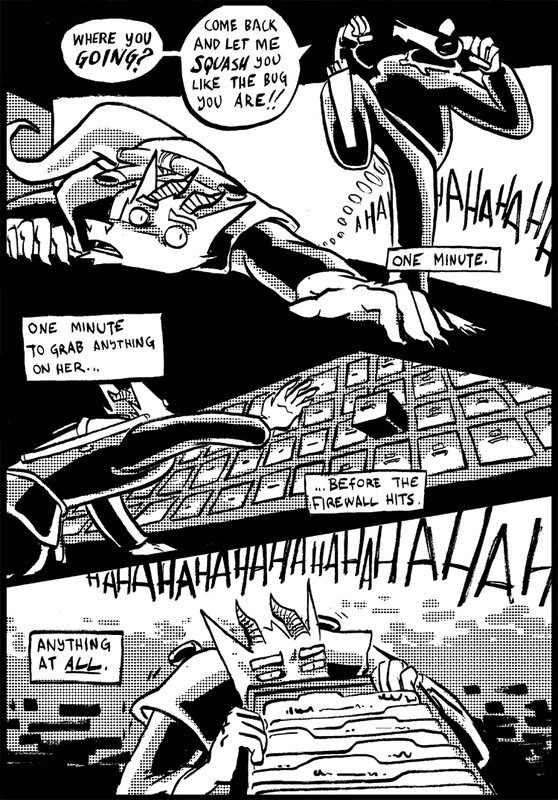 Writer and artist Ian Jay refers to his on-line black & white comic Crossed Wires as an “anthro cyberpunk hacker romance action” story. We’d be hard-pressed to find a better description! Visit his official Crossed Wires page to see what he means. While you’re at it, take a look at his on-line store. 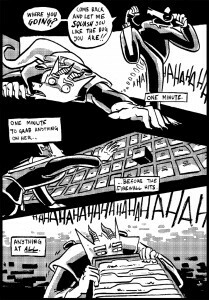 There you will find (among other things) collections of Ian’s previous anthropomorphic comics, including Epiphany and Megahertz. “… of the animals who didn’t get on the Ark.” That’s the official tag line of Oops! Noah is Gone, a new CGI feature film coming out later this year. Produced in Germany and animated all over Europe, it follows the story of David and his young son Finny, the last of the Nestrians, and what happens when one of them misses the boat — literally. The official English trailer explains it all better… sort of. No word yet on if it’s to be released to North American theaters or only on DVD. Thanks to Cartoon Brew for the heads-up. 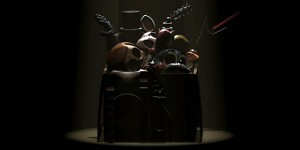 There’s an article over at ComingSoon.net about about a new feature animation project starting up. 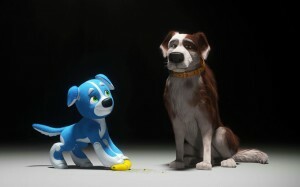 “RoboDog is said to be a classic, heart-warming adventure story about an unlikely duo who couldn’t be more different. KC (‘Kinetic Canine’) is a bright, energetic but overzealous robotic dog, while Marshall is an old, curmudgeonly ‘real’ dog, set in his ways and has little patience for anything new. This canine odd couple embarks on the adventure of a lifetime where each will learn the true nature of friendship, and not to judge a book by its cover.” The film stars the voices of Chris Colfer (Glee) as KC and Ron Perlman (Beauty & The Beast, Hellboy) as Marshall. The CGI project is being directed by Henry F. Anderson III (Gnomeo & Juliet, Stuart Little) for Marza Animation Planet, a new production house. No word yet on a planned release date.